Binance is one of the largest and most popular cryptocurrency exchanges in the world. They service customers in most countries including the United States. Originally started in Hong Kong, Binance is moving its headquarters to Malta which will help reduce regulatory pressure many exchanges are facing today. Binance was founded by Changpeng “CZ” Zhao, a highly respected figure in the crypto world. 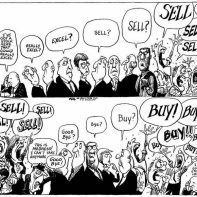 High liquidity and volume - Perhaps the most important. Binance has some of the largest exchange volumes in the world. 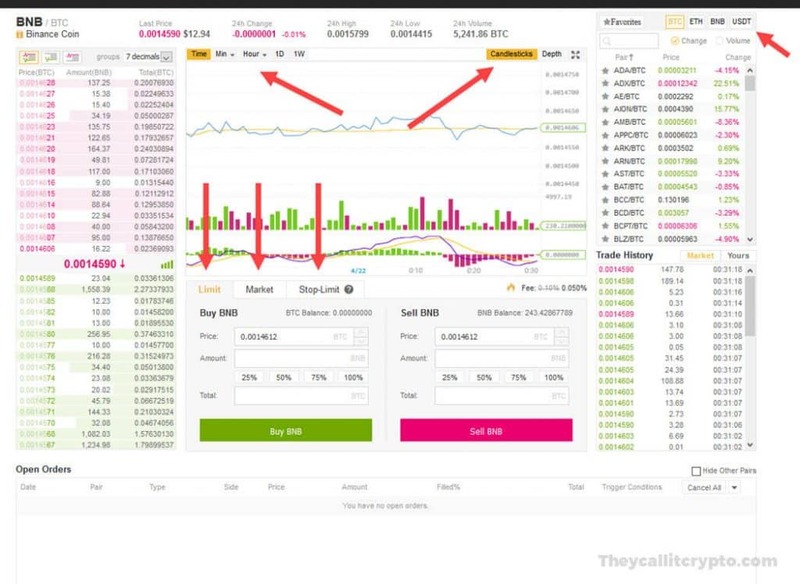 Binance has some of the most competitive commissions and fees in the crypto trading industry. 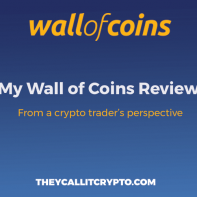 Their fees are highly transparent and, unlike many exchanges, it’s very easy to see find out the latest withdrawal fee for a given cryptocurrency. Not only are the fees low, they are offering a 50% discount on trading fees when paying with their native currency, Binance Coin or BNB. Withdrawal fees vary widely depending on the coin. Withdrawal fees are based on the current volume of transactions on that blockchain network. 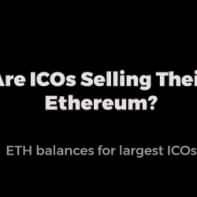 For instance, Bitcoin and Ethereum are considered some of the more expensive coins to withdrawal due to their popularity and heavy use, while a less popular crypto coin would be much cheaper to withdraw. 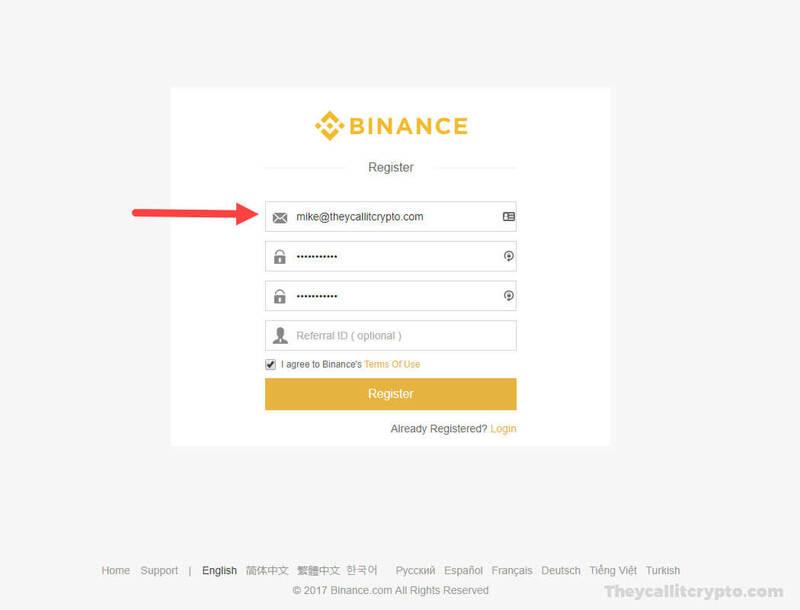 Sign up for Binance is quite easy and fast. We were able to sign up, fund our account with ETH and start trading in less than 10 minutes. KYC (ID verification) is not needed if you don’t intend to withdraw more than 2 BTC worth of coins from your account every 24 hours. If you need to withdraw more, you can verify your identity and withdraw up to 100 BTC per 24 hours. We found 2 BTC to be plenty. Only a valid email address is required to open an account. Unlike many exchanges, no personal information is needed to begin trading. That scores points in our book. If privacy is your biggest concern, Binance is a good choice. They don’t require ID verification to deposit, withdraw or trade. And if you are trading internationally, their office location in Malta provides an extra layer of privacy. We tested two BTC and ETH deposits from a private wallet. Both were available for trading in under 10 minutes. It’s not going to get much faster than that. Keep in mind that deposit and withdrawal times fluctuate (from mins to hours) depending on the amount of traffic on the blockchain network. 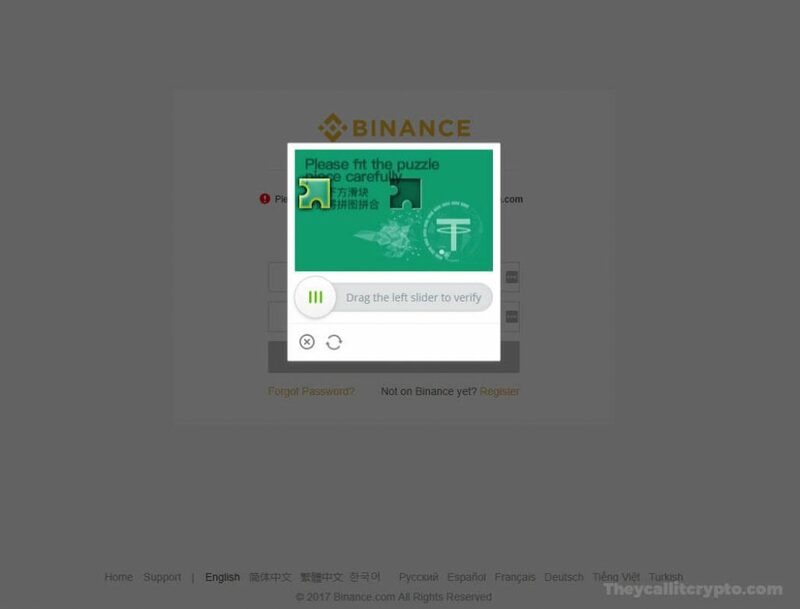 On the front-end, Binance offers users several good security features including 2 factor authentication using SMS or Google Authenticator. They also have an anti-phishing feature. The user security is what is seen on most top exchanges. 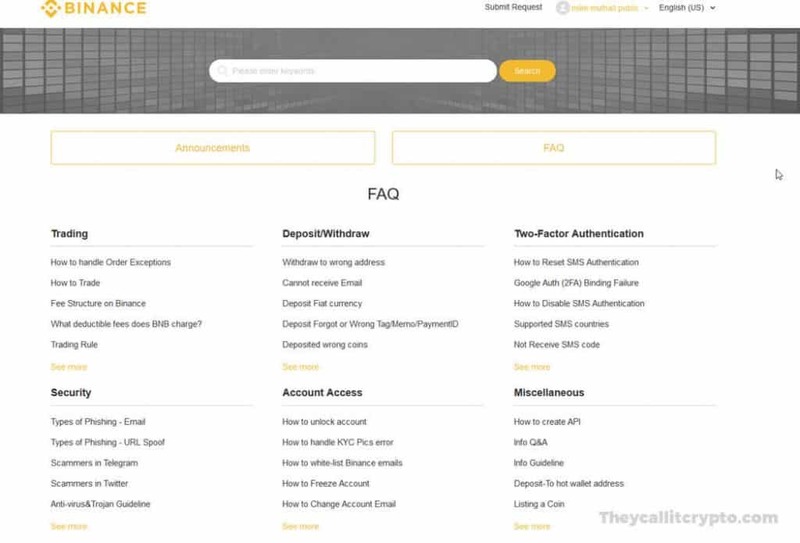 There is not much public information on Binance’s backend security. 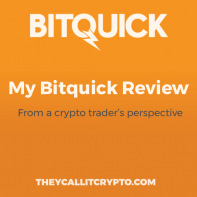 But judging the quality of the exchange platform, we assume backend security is top notch. Even their sign-in screen is well designed. Above is their version of captcha. A fun puzzle slider. 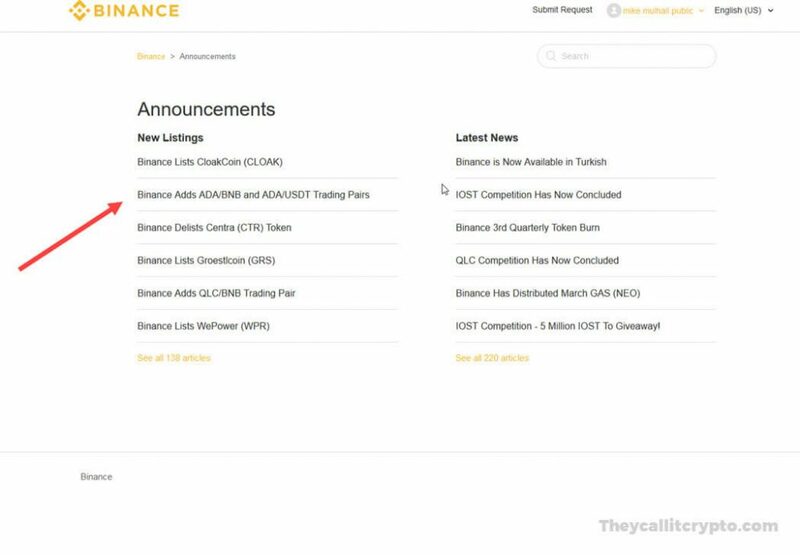 While there have been a few claims that Binance has been hacked in the past, no definitive evidence has ever been found. On February 8, 2018 the exchange abruptly shut down and no users could access their accounts. Binance claimed it was due to server and database issues. They were down for more than 24 hours, but service was successfully restored. No one lost funds from their account. The general consensus is Binance did have server issues and was not hacked. 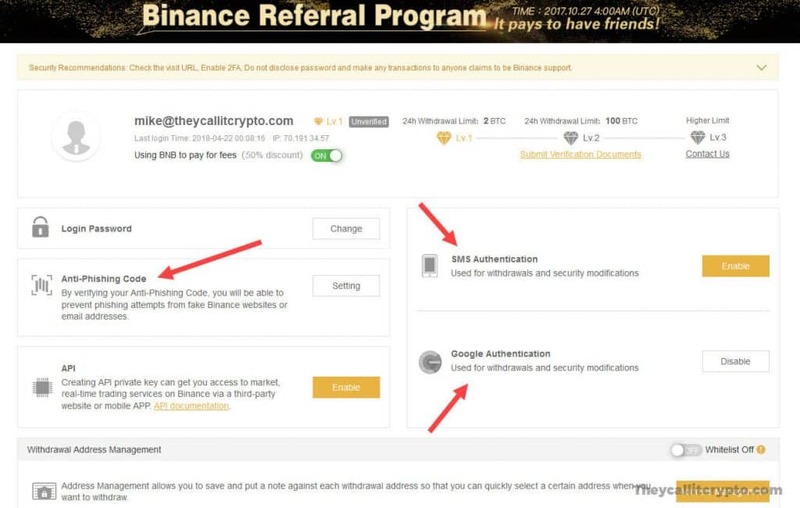 On March 7, 2018 Binance announced that a large scale phishing a stealing attempt took place on the exchange. All withdrawals were temporarily halted but no funds were reported lost. This had to do with hackers logging into accounts with credentials they had stolen from users directly using a phishing scam. Binance’s servers were never compromised, meaning Binance itself was not hacked. The list of currencies is impressive. Most of the popular high- volume coins are traded. 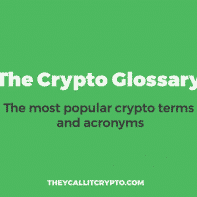 However, you won’t find smaller or more obscure coins like you can find on Cryptopia. Binance does add new coins frequently though. 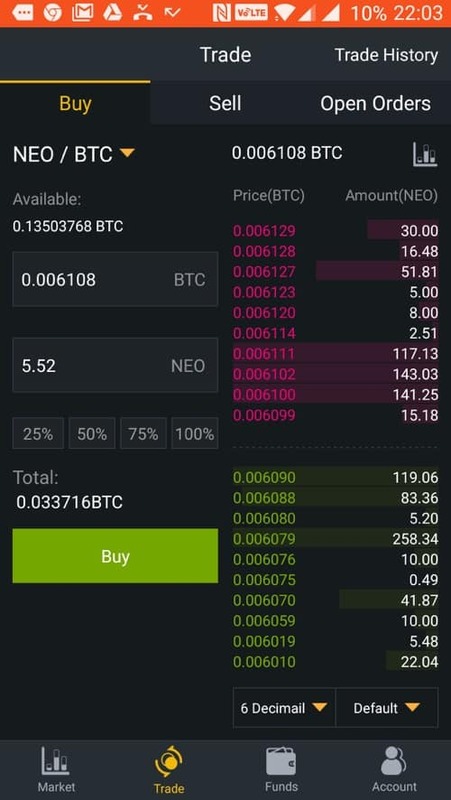 They cheapest coin we’ve seen on Binance is around $.04. 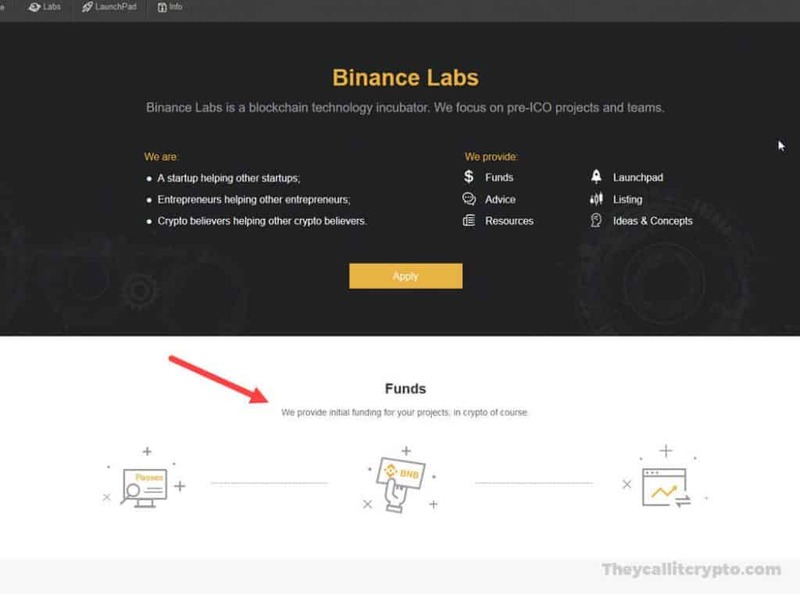 On top of coins, Binance also offers funding for startups and access to ICOs on their platform. We haven’t seen one offered in a while, probably due to regulatory concerns, but we’re sure more will be offered. 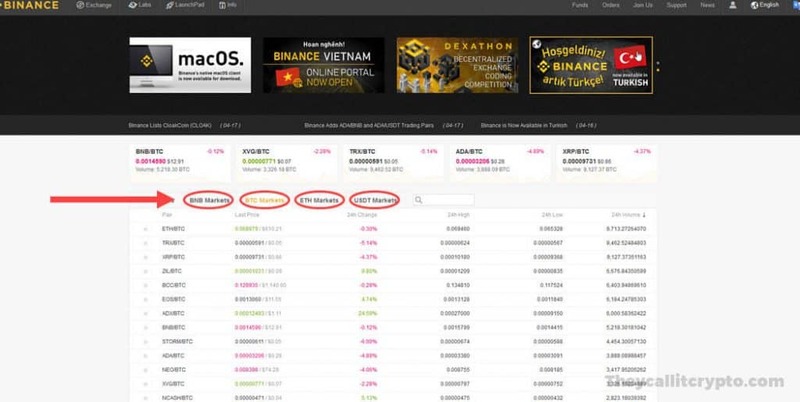 Binance’s trading platform is where they really shine. They have 2 trading platforms, basic and advanced. The basic trading platform is intuitive and easy to use. It is one of he most user friendly interfaces we’ve reviewed. All of the trading data one would need is visible on this screen. Users are able to place limit, market and stop-limit orders. The chart is simple and easy to understand. The usually timeframe and candlestick options are present. The advanced trading platform is one of our favorites and we actually prefer it over the basic option. 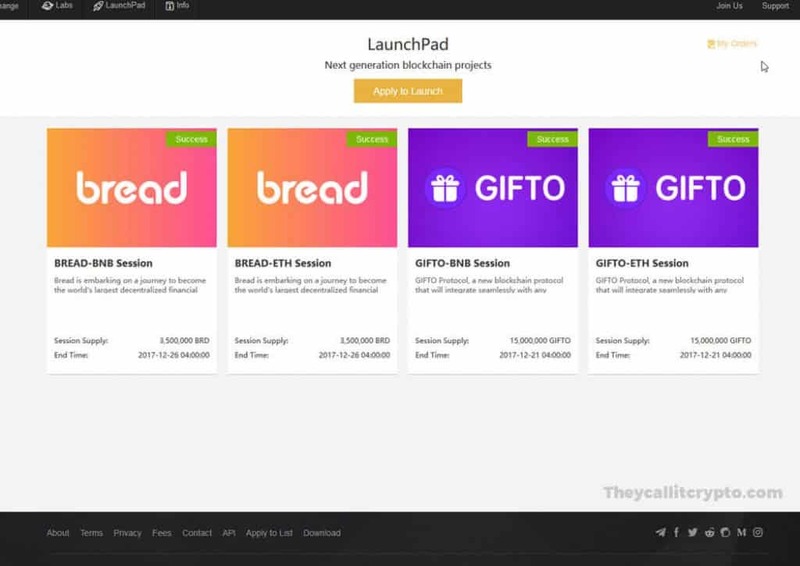 Even for new traders, the advanced platform is not difficult to use. The dark theme makes reading the trading data easy and the chart is larger allowing for more data to be reviewed. 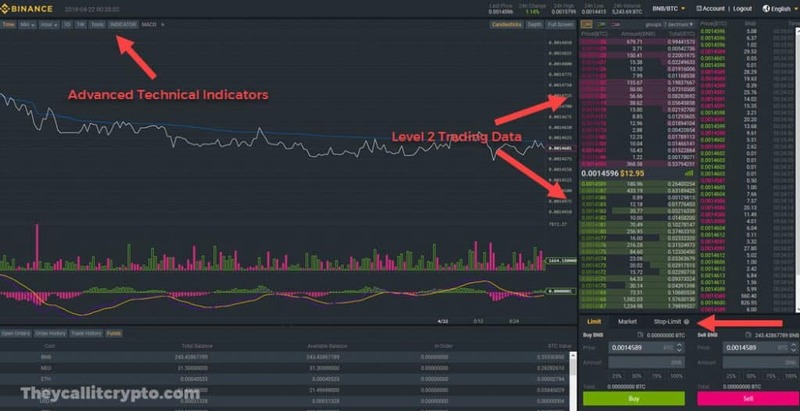 From what we can tell, the only major differences between the basic and advanced is the dark theme and the addition of technical indicators on the chart. We prefer the advanced platform over the basic but everyone has different tastes. Both platforms are well designed. You can’t go wrong with either. We give Binance high marks on ease of use. Any trader, beginner or advanced, will be happy with their interface. That being said, someone new to crypto may find their trading platform intimidating. 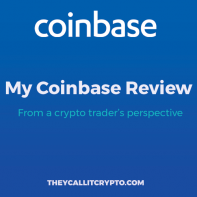 As a newcomer, you may want to try Coinbase or CEX.io first. Binance’s customer service is just ok. However, when benchmarked against other exchanges, their customer service looks great. Their customer support area is informative and if you submit a ticket, you’ll generally get a response in 24-72 hours. 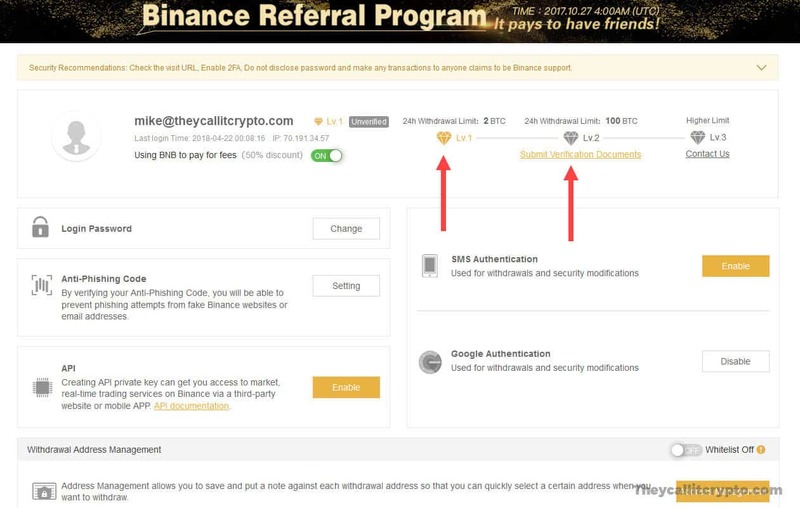 Because of Binance’s popularity, they do have a strong community that is more than willing to help answer your questions. Their mobile app is one of the best, if not the best! We love using it. It’s clean, fast and easy to use. The dark theme makes it much easier to read the trading data on a small screen. We can’t say enough good things about it. They offer it on both Android and iOS version. Is Binance safe? Yes. We believe it is. Given its popularity and the experienced team behind it, Binance is one of the safest exchanges in the market. Can I use a bank account or credit card on Binance? Binance is strictly crypto to crypto. You can’t buy coins with fiat money like USD, EUR, JPY or KRW. Is Binance decentralized? No. Binance is not decentralized like Etherdelta or Idex. It is run on central servers controlled by the Binance team. Can I use Binance as a wallet? We never advise crypto holders to keep their cryptocurrency on exchanges for long term. A private wallet is always better for that. But we’re comfortable with using Binance as a short term wallet for trading. Is Binance open to new registrations? Yes. For now. 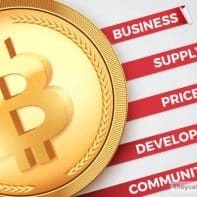 Due to overwhelming popularity of cryptocurrencies in general, many exchanges couldn’t keep up with traffic, so they stopped new user registration. Binance is a solid choice for any crypto trader, intermediate or advanced. Their ease of use, well designed trading platform and high volume score them as one the best crypto exchanges in the world. Binance is a solid choice for any crypto trader. Its ease of use, well designed trading platform and high volume score them as one the best crypto exchanges in the world. They have a great choice of coins and are constantly adding more.